My stats tell me that people appreciated the brand focus posts I have had going on for drug store brands. I particularly like to read them on other blogs because it shows a wide array of products at a glance and you can get a quick overview and review of the brand. I only did this for drug store products but I am looking to do one for high end products soon. I was unable to do a brand focus for all the drug store brands because I don’t use all of them. For example, I only have one product from Max Factor and few products from Bourjois. However, you can find brand focus posts on the following brands: Sleek Makeup, L’Oreal, Maybelline, Rimmel, Revlon, Makeup Revolution and Collection. I also have a body care one on Soap and Glory. I feel these brands above are the most popular ones in the UK drug store (at least for me). 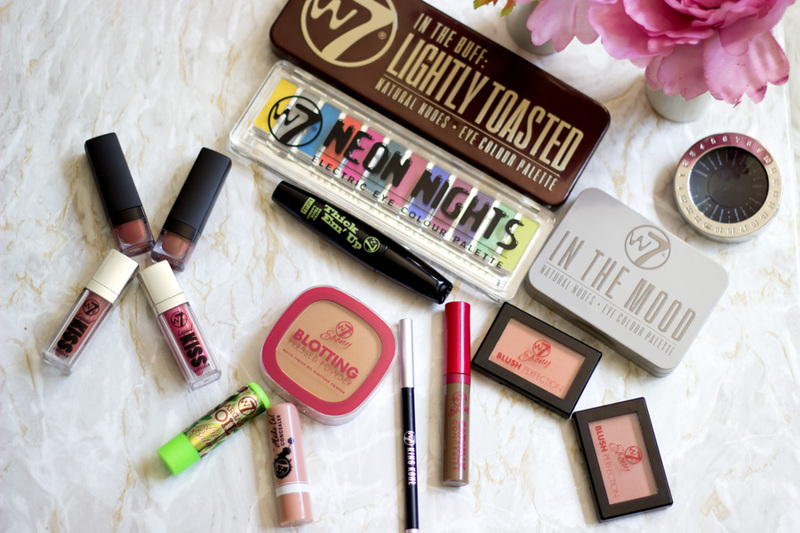 Today’s post will focus more on what products I highly recommend from these brands I hope it would be useful particularly if you are new to makeup or you want to try out drug store brands in the UK. The products I am recommending are mainly products that I love. They may not be everyone’s cup of tea but they work really well. I am limiting myself to recommending two or three products from each brand so I don't go overboard (I did with some brands tho!!). It's a pretty long post but I think it is helpful. I personally feel L’Oreal makeup is one of the best I have tried in the drug store. The packaging and quality of the products are amazing and they really stand out. However, I have some products that are my absolute favourites and I will always buy them in a heartbeat. The first one up is none other than the L’Oreal True Match Foundation which is amazing. It was launched a few years back but it is still making the rounds. 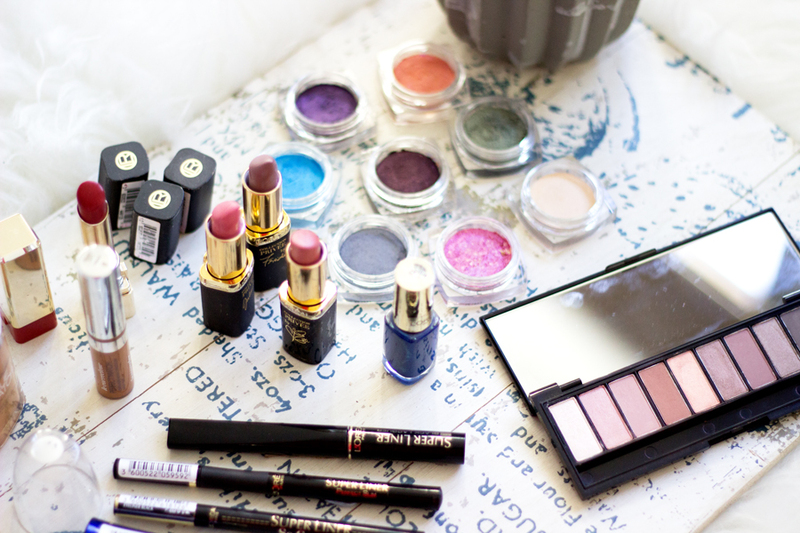 The wide range of shades (about 20-23) is simply divine and there is something for everyone. Another product which I highly recommend is the L’Oreal Super Liner Felt Tip Eyeliner. It is amazing and I have lost count on how many times I have repurchased it. It gives the longest lasting intense black eyeliner ever. The last product I will recommend is the L’Oreal Infallible Color Eyeshadows and I know it is a little more difficult to get them now. I have a feeling they are being discontinued and I am so glad I got my hands on them when I could. 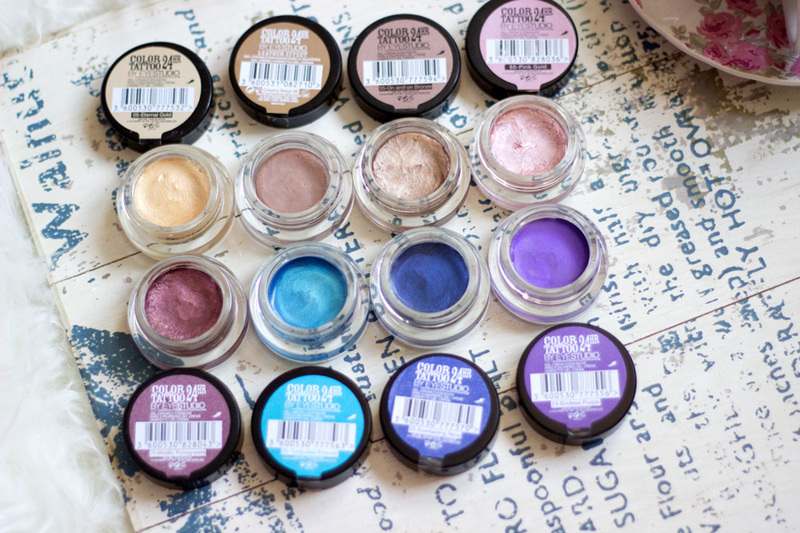 They are really unique as they can be worn on their own, as pigments or as a base for other eyeshadows and their texture is so lovely. Maybelline, how I love you!! I know that sounds silly and dramatic but I do love this brand. I don’t think I get on well with their bases or concealers because the shade range in the UK is a bit dodgy. I think their range in the USA is much better and they cater to people with darker skin. Anyway, I am absolutely obsessed with their Maybelline Color Tattoos. You guys--> They are the best cream/gel eyeshadows I have ever tried. I have not heard any bad word about them (well, the shade Eternal Gold is a bit dodge) and I have a good collection of them. They apply so well, last like a tattoo (hence the name) and are beautifully pigmented. They don’t dry out as well and I have had my little collection for a little over a year now. The shade Bad to Bronze/On and On Bronze is the business and one I highly recommend. 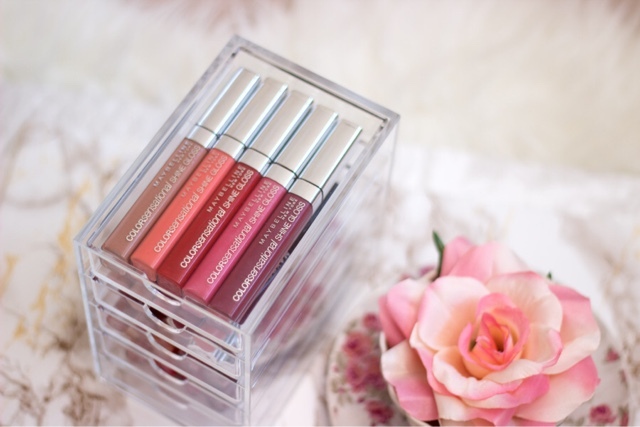 The next product I absolutely adore is the Maybelline Color Drama Velvet Lip Pencils. They are very good dupes for the NARS Lip Pencils. The pigmentation and lasting power is incredible and I have not seen any other drug store product come close to their quality. 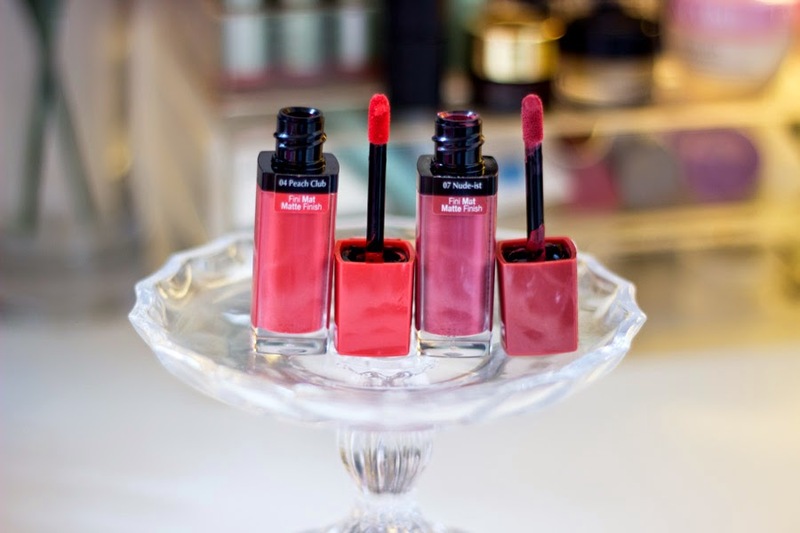 Last but not least is the Maybelline Color Sensational Lip Glosses. I am not a lip gloss girl at all because I find the formula of many lip glosses very sticky and annoying. These lip glosses are the first ones to impress me. They are also well pigmented and they last a long time. 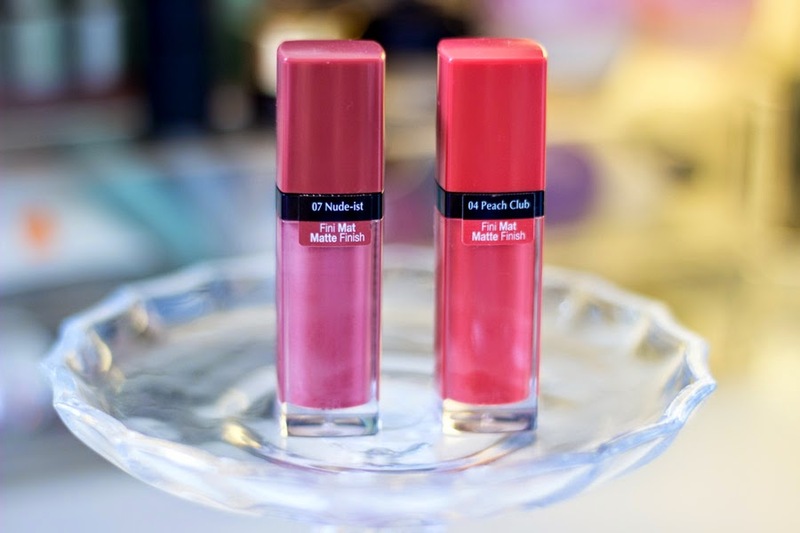 They have the right amount of gloss minus the stickiness and leaves my lips plump and supple. I love them and have a little collection now. 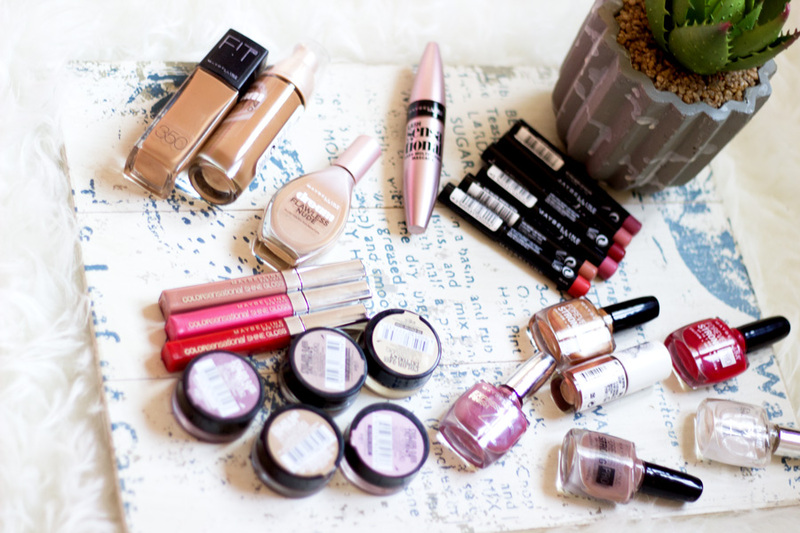 I have quite a few products from Rimmel but I am not a huge fan of their bases. The major reason is because they have the annoying beigey tone which looks ashy on my complexion. However, if you can find the right shade for your skin tone, I recommend the Rimmel Lasting Finish Foundation. I was very shocked at how long lasting it really was on my combination oily skin. It’s really nice and I still use it because I love the results I get. Another product which I highly recommend is their Rimmel Lasting Finish Primer. 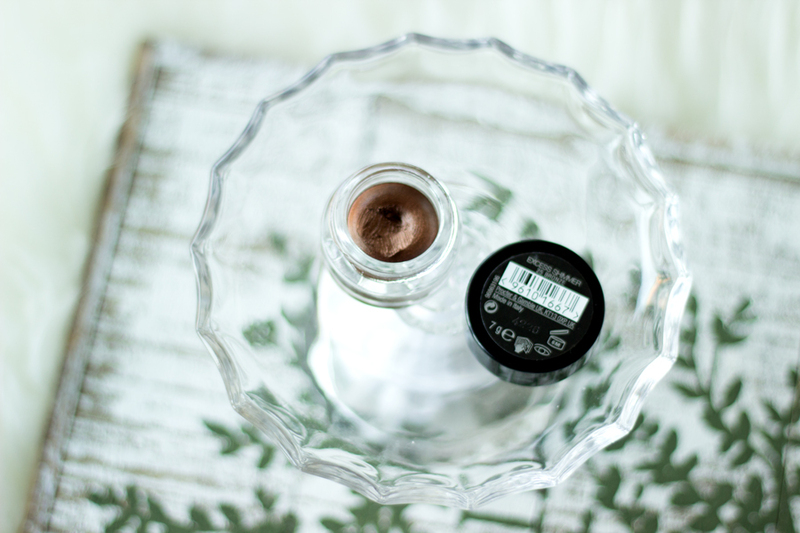 This is a really good drug store primer and it does the job so well. It ensures my makeup goes on smoothly and helps it last a really long time. If you find that your foundation is not long lasting, this is one to try. The final product I enjoy from Rimmel is the Rimmel Apoocalips Lip Glosses. I don’t really classify them as lip glosses as they remind me of Liquid lipsticks. 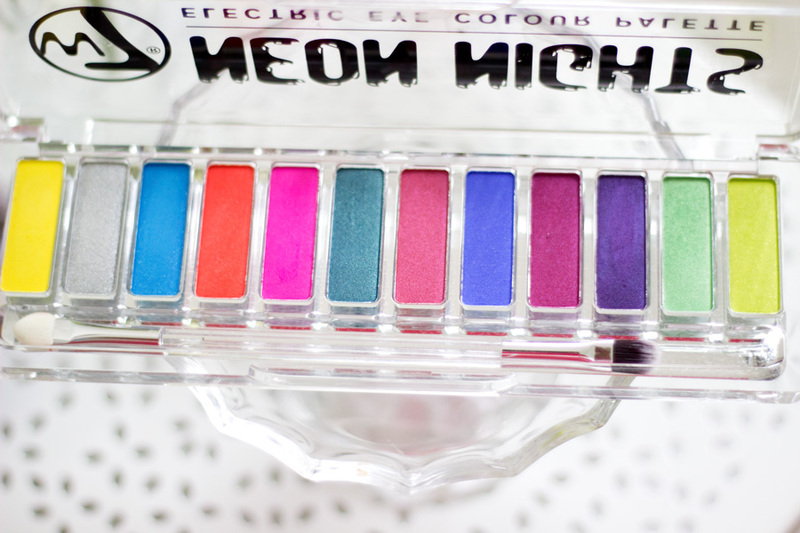 They are really well pigmented, not sticky at all and the lasting power is really good. The only downside is the smell. It just has a really bizarre smell/scent but the good thing is it disappears within seconds. 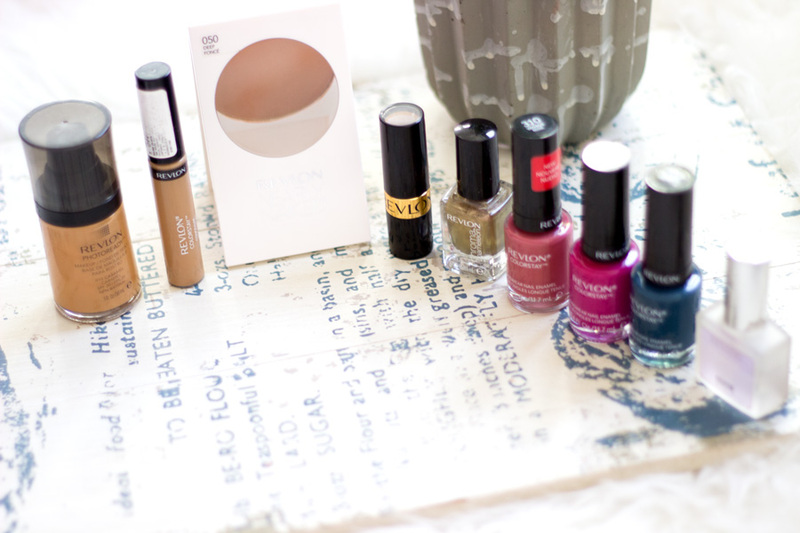 Revlon is surprisingly a more expensive drug store brand but you would not think so until you delve deeper. Their Revlon Color Stay Foundation retails for £12.40 which is insane. However, it is one I highly recommend. I have been putting off purchasing one because it came with no pump however I had an empty foundation bottle with a pump so I tried it. It is really worthy of all the hype (a review will be up shortly). They also have an impressive range of shades to choose from. Another product I recommend is the Revlon Color Stay Concealer which I use as an under eye concealer. I have repurchased this several times because it is one concealer that does not crease or settle in my fine lines. It feels so light and smooth but still covers dark under eye circles and brightens it as well. The final product I recommend from their range is the Revlon Pressed Powder. It is so finely milled and I love using it to touch up (not necessarily as my main powder). The only gripe is the white packaging which is such a nightmare to keep clean. 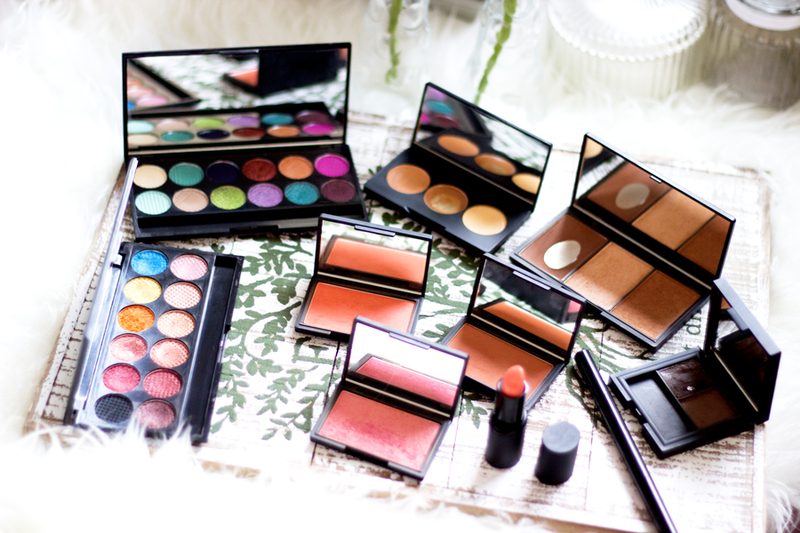 Sleek Makeup counters are one of the counters I always frequent because I love their products. I think they are one of the few drug store brands that cater largely to various skin tones for people who have olive/darker complexions. The funny thing is I am not really a fan of their bases. I tried the BB cream but it was too thick and the shade range was not good for me. I may try out their foundation at some point. 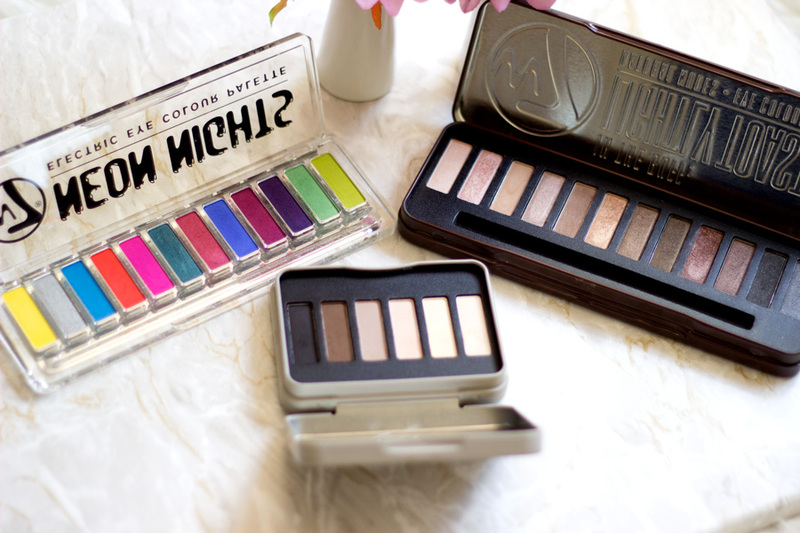 However, one of my favourite product from their range is the Sleek Eyeshadow Palettes. They have such a wide range to choose from and their pigmentation, texture and lasting power is very impressive. I just love them #endof. The next product(s) I highly recommend is the Contour Kit or the Face Form. Both products work so well for a variety of skin tones and the advantage of the Face form is you get a blush. I have repurchased the Contour Kit several times because it is the only powder contour that works well on my skin without looking muddy/ashy. 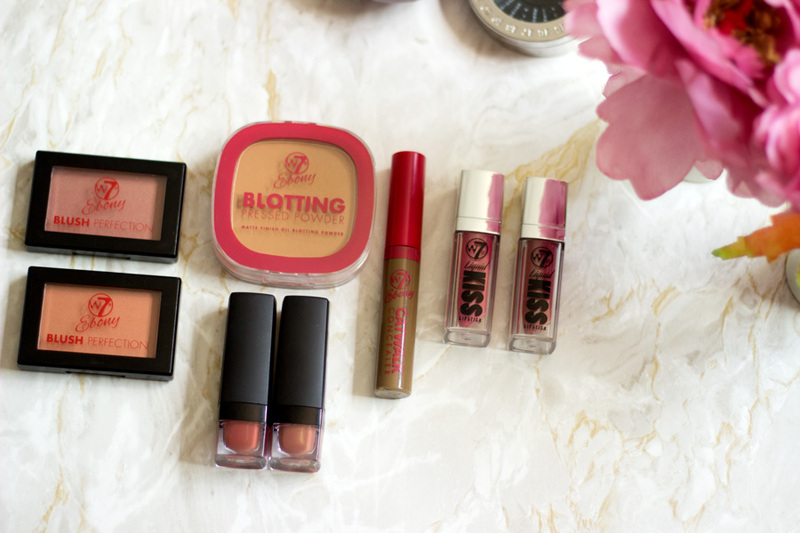 The final product worth checking out is the Sleek Blushes!! 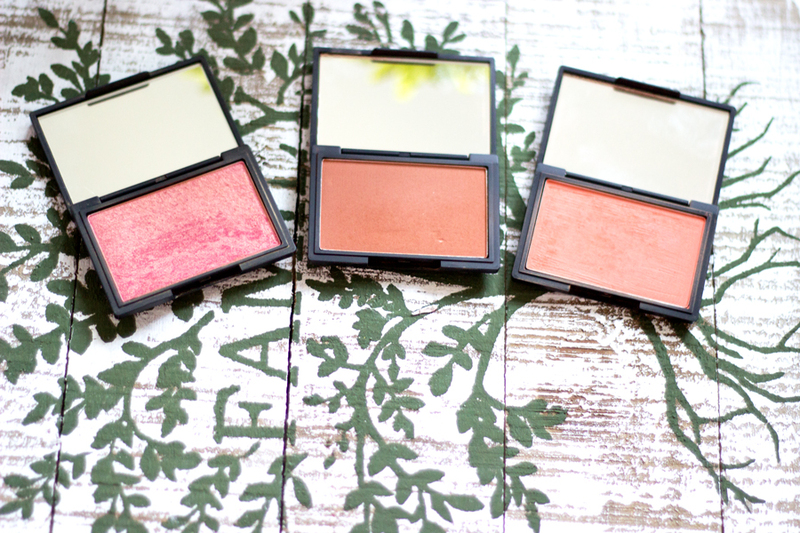 These blushes have made me want to build a bigger blush collection. I know I keep mentioning this but their pigmentation is insane. 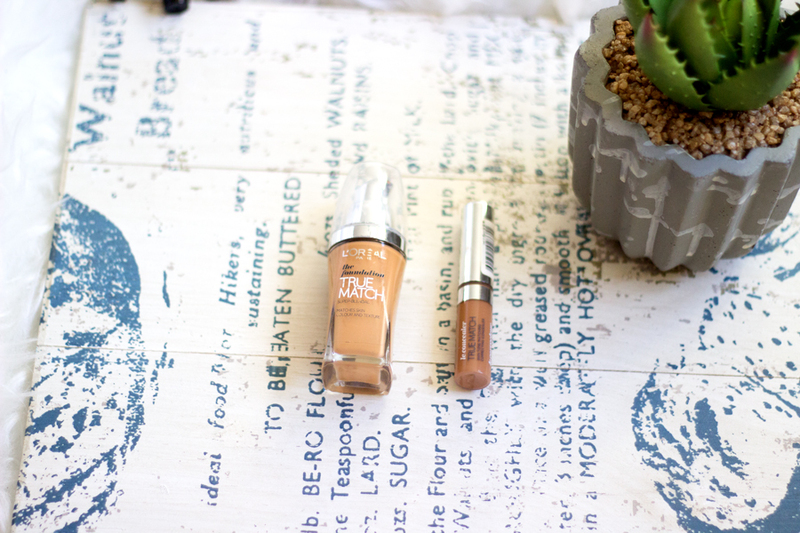 They work so well for many skin tones and I love how varied the shades are. 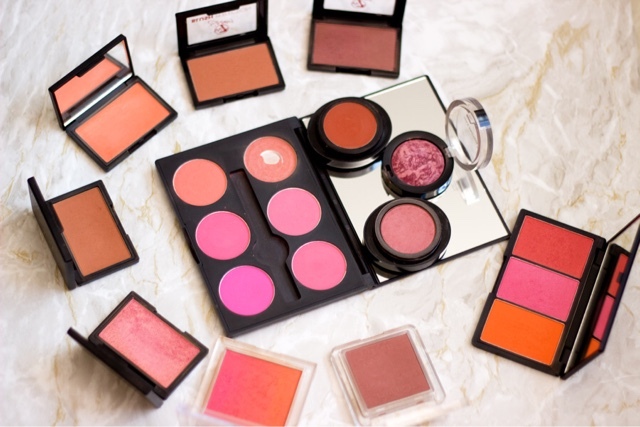 They now have the Blush by 3 Palettes which I love because it is so compact and easy to travel with. 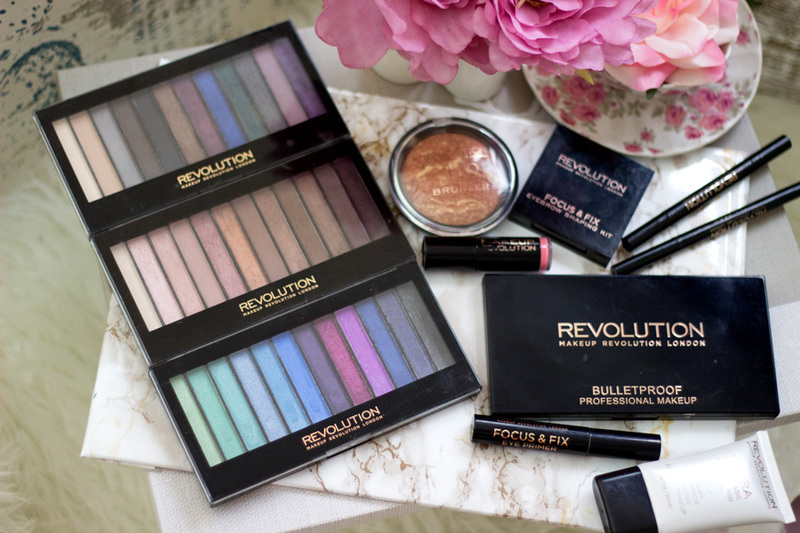 I was a little sceptical about Makeup Revolution when they launched and I thought they would be similar to MUA. However, I am really delighted that they have impressed me with their innovative and creative new launches. I have a little selection of products from their range which I enjoy. Not all of them are my favourites as you would expect but majority are really good. 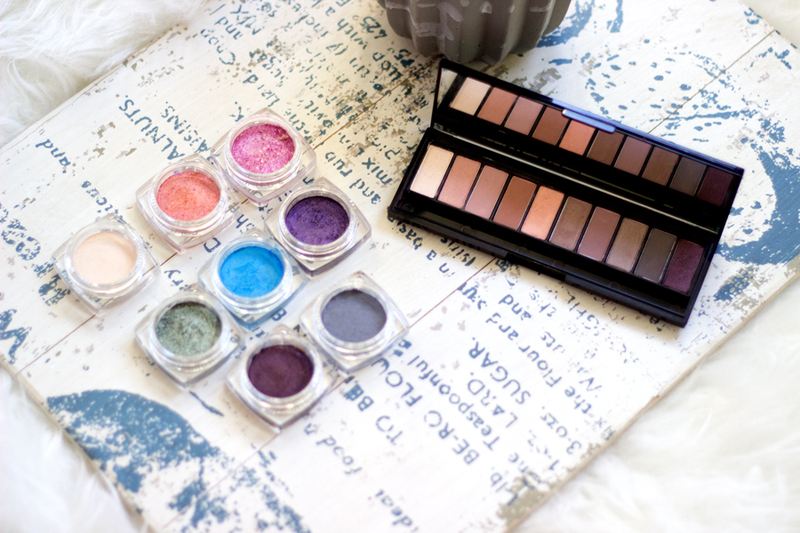 The products that stand out for me are their eye makeup products particularly their eyeshadows. They have such a wide range to choose from and I have no idea how they keep their customers so happy. 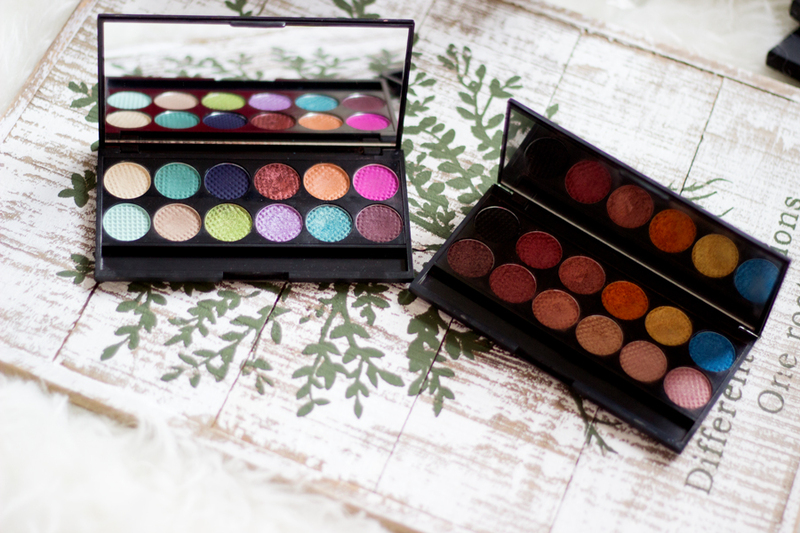 I have three palettes from them which I enjoy and reach for all through the season. Another product which is worth checking out is their Baked Bronze in Rock on World. 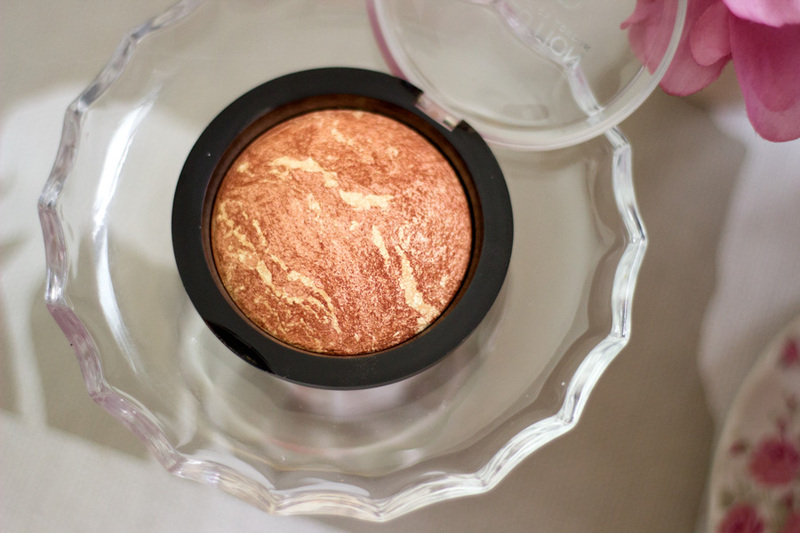 It works as a highlighter for me and it is incredibly pigmented. I just love it so much!! Collection Makeup formerly known as Collection 2000 have really been upping their game these days. The new products they have been churning out with each season are very impressive. I always pop by their counter to see what’s new. Their bases are not for me (including their bets selling Lasting Perfection Concealer) because their shade range is very, very limited. However, they shine in other aspects particularly eye products. 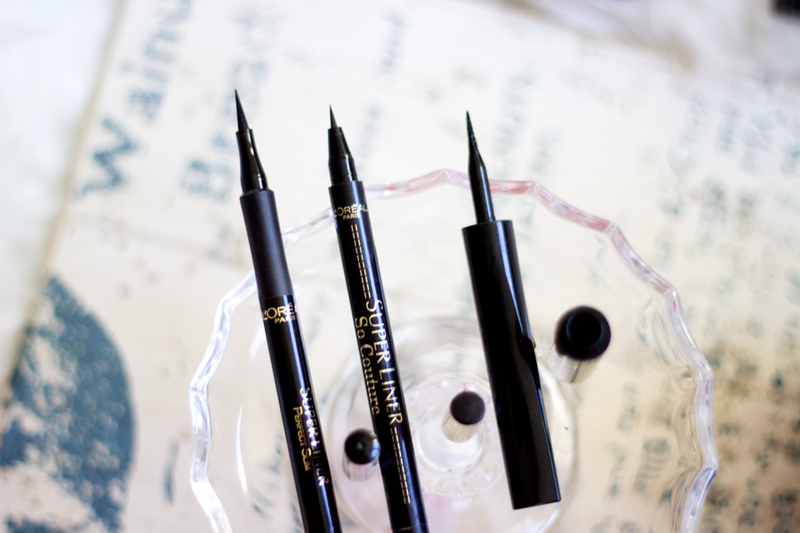 Their Collection Extreme 24HR Eyeliner still remains one of my favourites after (L’Oreal). 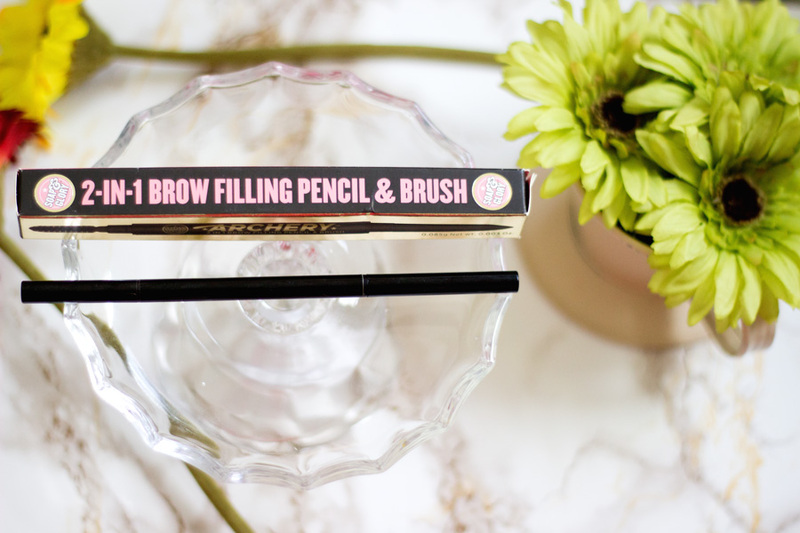 It is a felt tip eyeliner with so much control which makes it ideal for eyeliner beginners and experts. It is also long lasting and intense. 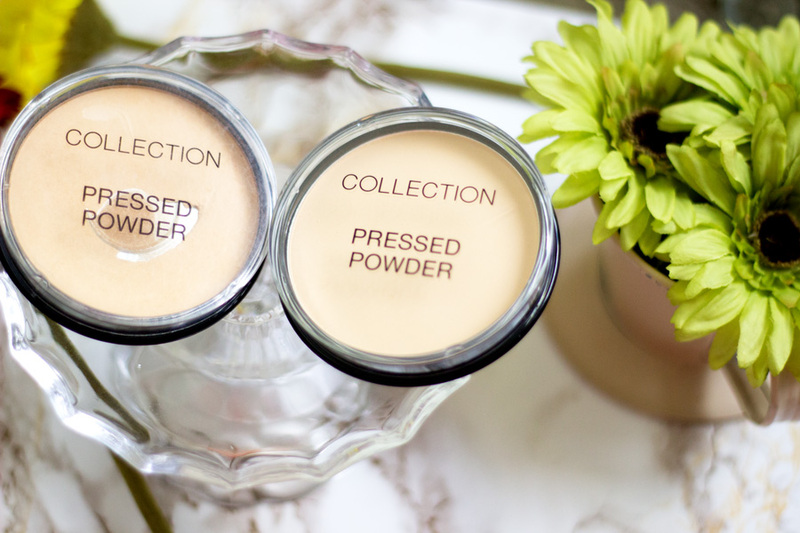 Another product which I am obsessed with (and repurchased as well) is the Collection Pressed Powder. It looks simple but it is one of the best powders I have tried for setting and mattifying my face. If it had a mirror, it would be my ideal makeup bag powder. It comes in various shades but my favourite is Translucent because it keeps everything mattified. 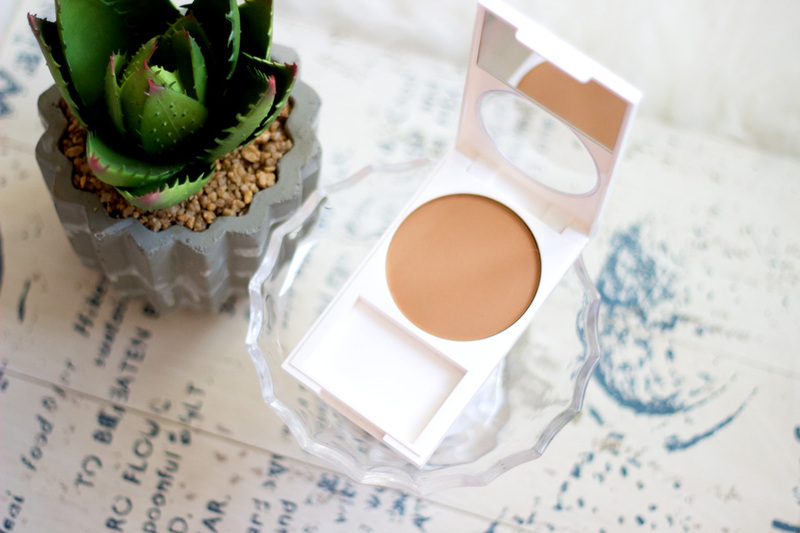 I also use it to set my under eye concealer and it is so finely milled that it does not crease or look unsightly. The last product I recommend is their Eyeshadow Palettes. I was so sceptical about these but when I swatched it in-store, I was instantly sold. They feel very buttery and smooth and easy to apply. I do need to use them with a primer to enhance the color pay off and longevity. It’s just beautiful and inexpensive although I think they can do better with their packaging. 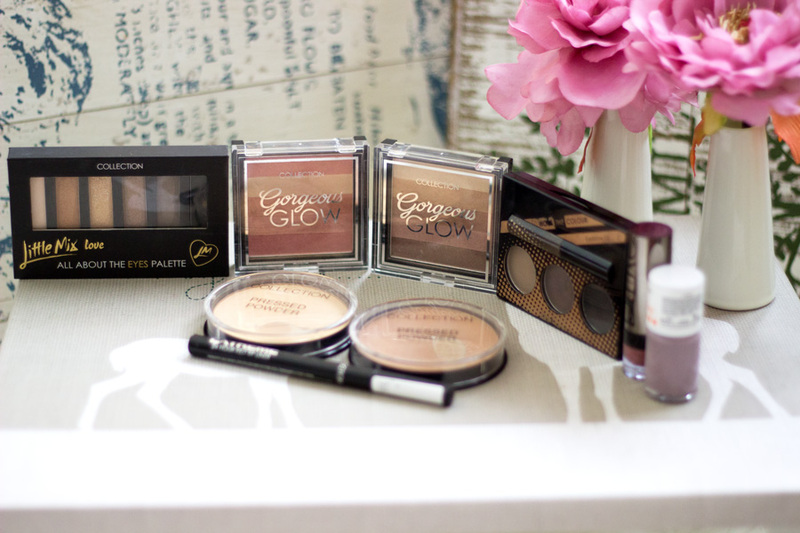 I just recently fell in love with this brand after trying out their eyeshadow palettes which I purchased in TK Maxx. I am still obsessed with them so you can imagine my delight when they sent me two lovely packages of more products to try. I love their range because they are affordable but still good quality. 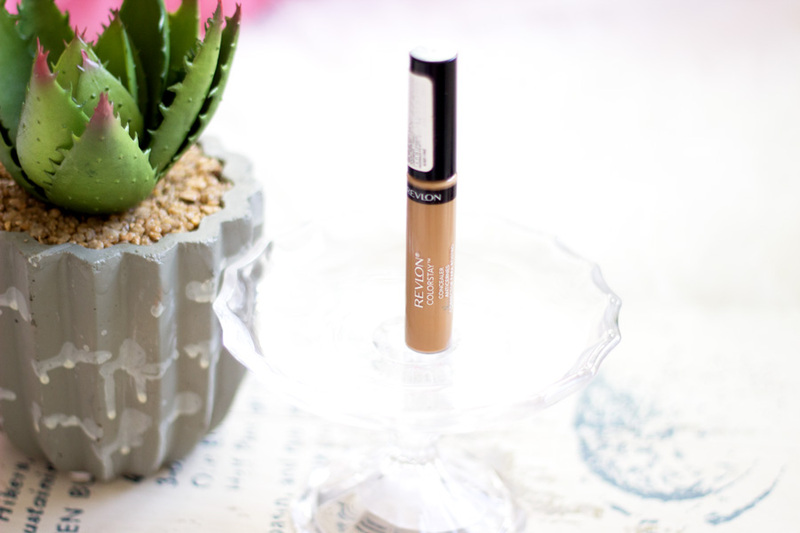 Their Ebony Collection (review here) is my absolute favourite because they tick all the boxes for me. The products are well pigmented and the colours really suit my complexion to a T. I recommend trying out their Blushes and Matte Lipsticks from their Ebony range because they are seriously amazing. Their Neon Nights Eyeshadow Palette is one my favourite palette because the colours just make me happy. I have created a variety of looks with the colours there and they have such good pigmentation. If you wanted to buy only one product, I suggest trying out their eyeshadow palettes. It's a shame that they are not sold in drug stores like Boots and Superdrug which are more accessible. However, you can find them in TK Maxx, Asda and online on Amazon and their W7 website. I once tried a base from Barry M and I was shocked at how pretty it was. I don’t have it any more because I have it to a friend who liked it. However, I always stop by the Barry M counter mainly to check out their nail polishes. I am sure it is a well known fact that they make one of the best nail polish formulas in the drug store. I am slowly building a little collection and I love many of the ones I have. They also have a variety of finishes to choose from and their lasting power is really good. The funny thing is I still prefer the original formula (the one with a black lid). I find that some shades within the other ranges are not consistent. 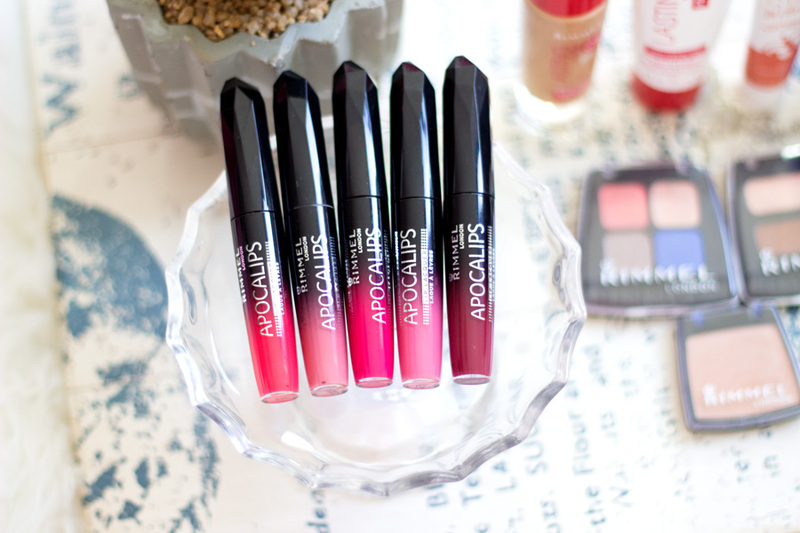 I am going to put it out there; I love Bourjois Makeup and I really wish they had a wider range for bases. I keep hearing about how amazing their bases are and I have tried a few in-store. They feel good on my skin and apply well but I have not found the best shade for my skin tone. I have tried only few products from their range but I have enjoyed them. If you are after a stand out product and you can find your shade, then I suggest the Bourjois Foundations (the Healthy Mix Serum and Happy Light appear to be really good). If you can't find your shade like me, I suggest trying out their lip products because they are amazing and last really long on the lips. 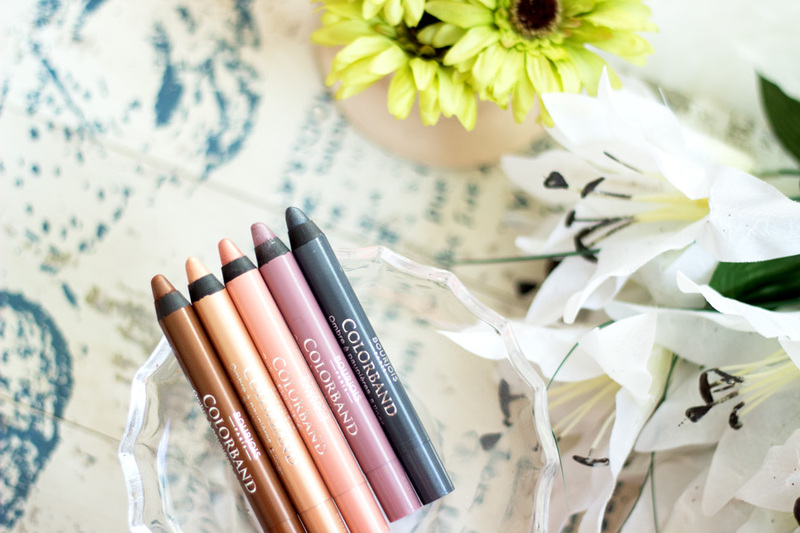 However, my personal favourite product from their range is the Colorband 2-in-1 Eyeshadow Pencils which I have featured here. I love them so much and they are so easy to use. You do have to work really fast because they set/dry quickly rendering them impossible to blend. I love their lasting power and I always reach for them when I am in a rush. I have heard many good things about MaxFactor makeup products but I have tried very few in fact I have only tried two. It's not a brand that I check out because I don't think their products are suitable for my complexion. Their bases look really well packaged but there are nowhere remotely close to my skin tone which is such a shame. However, I love their MaxFactor Creme Puff Blush which I got after deliberating for a long time. I am really impressed with this product and I am pleased that at least one shade for darker skinned ladies was included in the collection. The other product which I have enjoyed using this Summer is the Excess Shimmer Cream Eyeshadow in Bronze which is so amazing. The texture is different to any other cream eyeshadow I have tried and it is so easy to work with especially during Summer. I highly recommend checking them out. I love Sleek and Revlon. But not all the products available in my country. And I want Sleek come in my town.